Home Drug Addiction Do You Need a Medical Drug Detox Program? Do You Need a Medical Drug Detox Program? If you are struggling to get off of drugs and alcohol then you could probably benefit from a drug detox program of some sort.Â When people talk about a program such as this, what they are generally referring to is an inpatient drug rehab setting.Â You would check into rehab for a few days to a few weeks time and they would monitor you as you come off of the drugs and administer medications to help you through withdrawals.Â Some places might be a bit fancier and incorporate nutritional aspects or even biophysical treatment, such as having a sauna or spa, but for the most part you will be in bed for 3 to 5 days and being medically supervised.Â That is a typical detox program. How does this differ from drug to drug?Â Let’s take a look. If you are detoxing from alcohol (or benzos or barbiturates), then you definitely need medical supervision, unless you were a very light drinker (and if you are a light drinker, then you probably don’t need detox, right? )Â The reason for this is because it is actually pretty dangerous to detox from booze.Â There is a danger of seizures, even in people who have never had a seizure before in their entire life.Â In fact, detoxing from alcohol can be fatal in some cases.Â In a rehab setting, the medical staff will monitor your withdrawal from alcohol and give you appropriate medication to help prevent seizures from happening.Â It generally takes around 3 to 5 days to get through alcohol withdrawal when going through a rehab setting such as this. 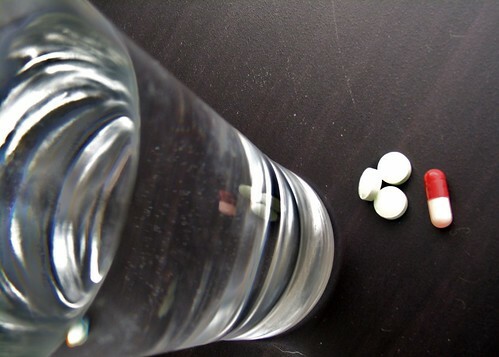 If you are detoxing from opiates, including either pain pills or heroin, then the detox process is a little bit different.Â Basically the only thing that changes is that the medical staff will monitor your withdrawal symptoms and treat your discomfort with different medications.Â In some cases they will use a synthetic opiate of some sort and taper you off of that medication over a few days to minimize your discomfort.Â You will not become addicted to the medication that they use because they will ween you off of it slowly.Â This entire process can take about 3 to 10 days total, though most people are generally detoxed in more like 3 to 5 days. If you are detoxing from any other drugs, such as marijuana or cocaine or meth, then you really don’t need a medically supervised detox. You can still benefit greatly from going to a residential treatment program, however, and probably should if you can make it happen.Â But you will not need to detox and instead just need to stop using those substances and start learning a new way to live.Â Treatment can help you to do that. How Can I Cut Back on Drinking Alcohol?